"Don’t let anyone look down on you because you are young, but set an example for the believers in speech, in conduct, in love, in faith and in purity" (1 Timothy 4:12​). As United Methodist, we believe that miracles don't have to be unexpected events, but we can experience God daily if we align ourselves to His will and act in love. The more we follow Jesus' teachings, the more we grow spiritually and become more like Him. Others will see our love and witness Christ in us. We are called to act out our love, not just feel it! 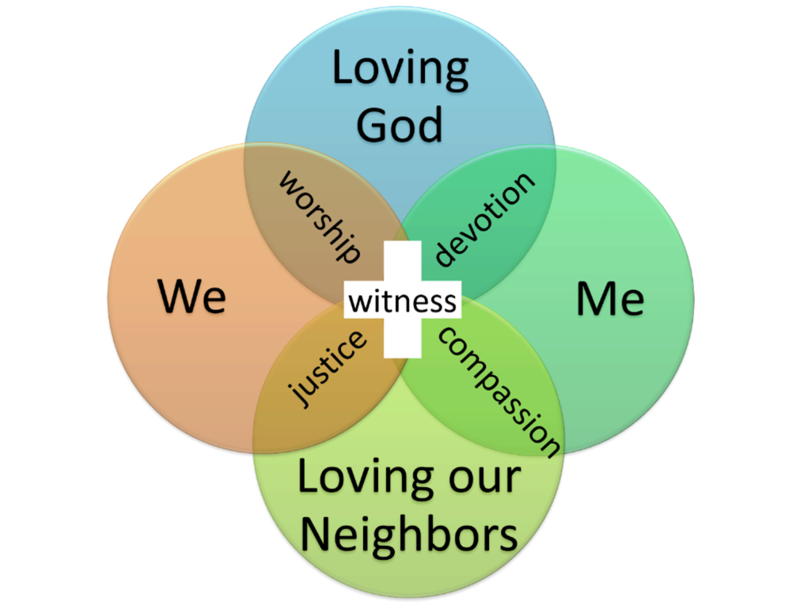 Learn more about how to grow in your acts of Devotion, Compassion, Justice, ﻿Worship﻿ which all make up your Witness. Learn more about Wesleyan Covenant Discipleship.